Okay so I guess I'm starting a new kind of post on this blog: weekly obsession! Obviously, I will talk about the things that keep my mind haunted that week. I'm not sure wether I will publish a post like this every week but hey, I can try! For my first weekly obsession, I'm talking about sandals. Yes, you heard me well, those strappy summer shoes that have returned from their dark place in the corner of our shoe closet, or at least, my shoe closet. To be honest, I haven't worn sandals in like 7 years or something, but lately I've changed my mind seeing some really pretty ones. Of course, for the ladies out there, 'the comfy, orthopedic' sandal like Birckenstocks have been the most surprising trend this spring, and men fashion follows (a little). I made a little selection of pairs I wouldn't mind rocking when it gets a little bit warmer. 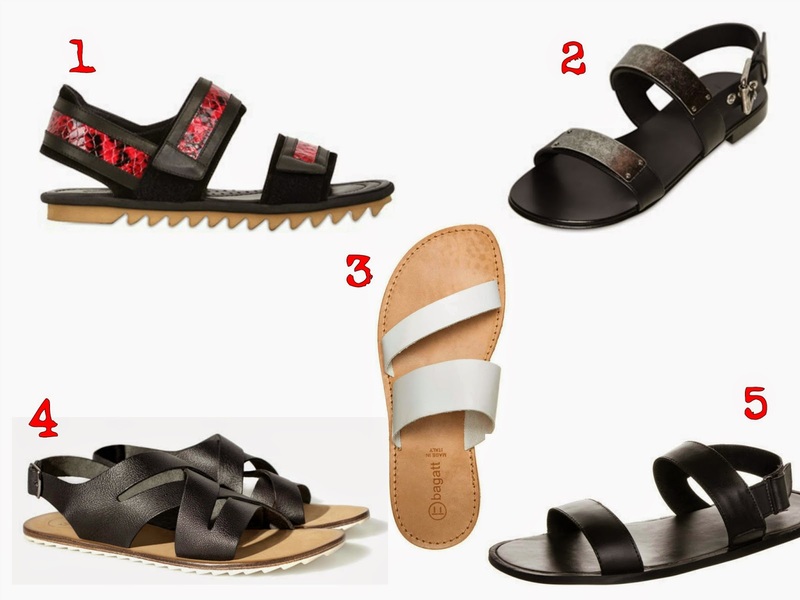 What is your opinion on sandals (for men)? Would you wear them?